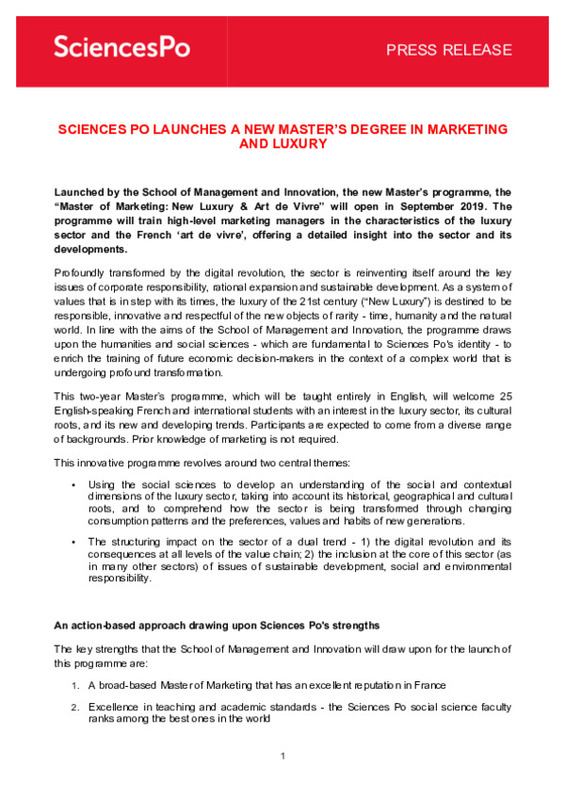 Launched by the School of Management and Innovation, the new Master’s programme, the “Master of Marketing: New Luxury & Art de Vivre” will open in September 2019. The programme will train high-level marketing managers in the characteristics of the luxury sector and the French ‘art de vivre’, offering a detailed insight into the sector and its developments. Profoundly transformed by the digital revolution, the sector is reinventing itself around the key issues of corporate responsibility, rational expansion and sustainable development. As a system of values that is in step with its times, the luxury of the 21st century (“New Luxury”) is destined to be responsible, innovative and respectful of the new objects of rarity - time, humanity and the natural world. 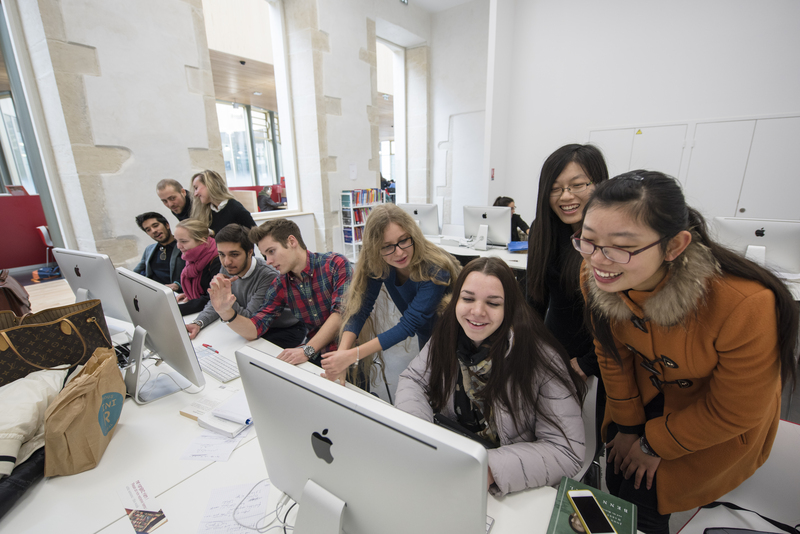 In line with the aims of the School of Management and Innovation, the programme draws upon the humanities and social sciences - which are fundamental to Sciences Po's identity - to enrich the training of future economic decision-makers in the context of a complex world that is undergoing profound transformation. This two-year Master’s programme, which will be taught entirely in English, will welcome 25 English-speaking French and international students with an interest in the luxury sector, its cultural roots, and its new and developing trends. Participants are expected to come from a diverse range of backgrounds. Prior knowledge of marketing is not required. Using the social sciences to develop an understanding of the social and contextual dimensions of the luxury sector, taking into account its historical, geographical and cultural roots, and to comprehend how the sector is being transformed through changing consumption patterns and the preferences, values and habits of new generations. The structuring impact on the sector of a dual trend - 1) the digital revolution and its consequences at all levels of the value chain; 2) the inclusion at the core of this sector (as in many other sectors) of issues of sustainable development, social and environmental responsibility. Historic corporate partners in the luxury sector (LVMH, Kering, L'Oréal Luxe, Chalhoub, etc.). For Marie-Laure Djelic, Dean of the School of Management and Innovation: “The challenge that we aim to meet in launching this Master's programme is combining strong historical and cultural foundations (the French ‘art de vivre’) with a clear and proactive orientation towards the future trends of the luxury industry. The originality of this Master’s programme lies in its capacity not only to train high-level marketing managers, but also to provide them with the tools to situate themselves and their work in a broader cultural, social and historical context. This will enable them to gain an informed perspective on the development of the luxury sector in an environment marked by digital transformations.